Mikula Contracting, Inc. is a fully insured and certified demolition company throughout the State of New Jersey for underground tank removal. 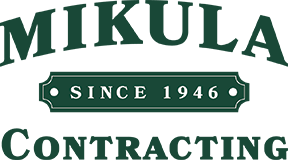 With over 70 Years of Service and Experience in the Tank Industry, you will be completely satisfied that you contacted Mikula Contracting, Inc. When selling your home, our streamlined process gets your underground oil tank removed and your house ready for sale. As the leader in New Jersey oil tank remediation, we are here to help educate you through the entire tank removal process. Not only will we take care of all of your town’s permits and inspections, but we will give you a free estimate and step by step timeline of your underground oil tank removal. You worked hard to get the right price for your home. Don’t let a delay in your tank removal stop you from closing on your home. When you need a reliable firm to help your sellers get their home ready for sale, call us to get the tank out and the yard landscaper ready. For jobs large and small, we have the expertise, equipment and licensing for the most difficult environmental cleanup needs. We work alongside top environmental firms for all NJ Oil Tank Remediation needs. Get a Fast Quote for an oil tank removal in Northern NJ throughout Essex, Hudson, Bergen, Passaic, Morris and Union Counties.